As in previous years we have gotten four different breeds of chickens. This year we have a White Plymouth Rock, hatched on March 3rd. 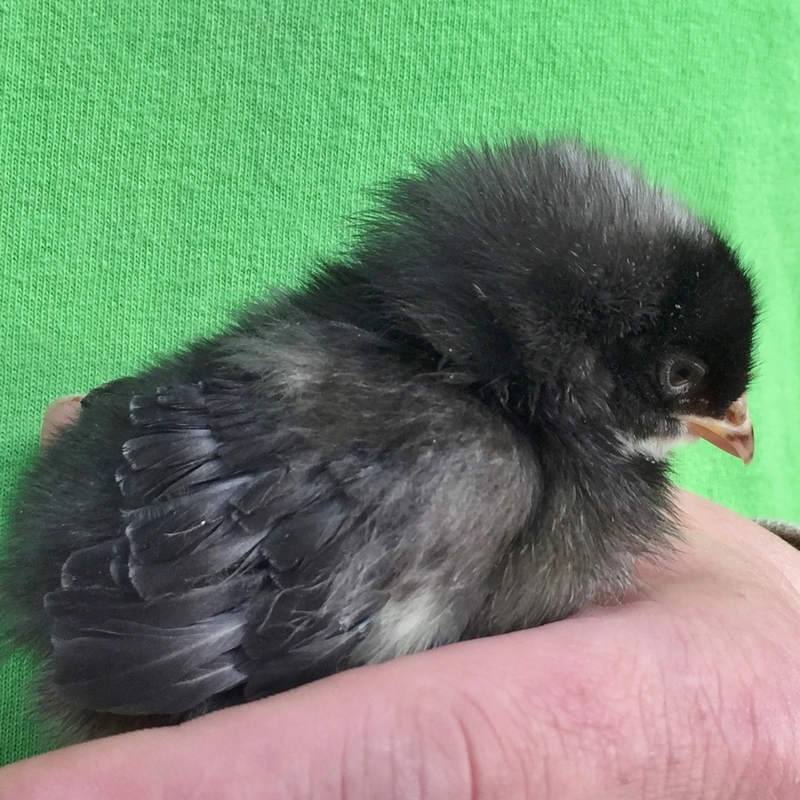 We also have a Blue Hamburg, a Barred Rock, and a Barnevelder, all of whom hatched on March 10th. The chicks are healthy and seem to be settling into their new environment just fine. Also, as in previous years, we are having a contest to name the girls, so if you think that you have a good, kid-friendly handle for a chick the time for name calling is now! Come in and submit your entries to the ballot box located next to the coop in our northernmost greenhouse (where all the veggies are). The girls are getting bigger everyday so make sure to come by and visit them soon! Also stay tuned for more updates to be posted on the blog. Until them, see you in the wood chips and happy brooding!